Pheasant Branch Conservancy is one of the gems in the greater Madison, WI area. Located in nearby Middleton, WI it’s easy to access from surrounding areas. There are several entrances and sections to Pheasant Branch. 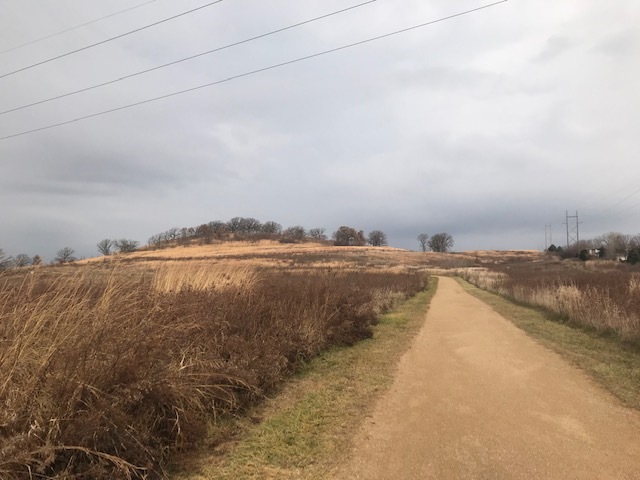 The trails described here are located off the Pheasant Branch Road entrance and parking lot. 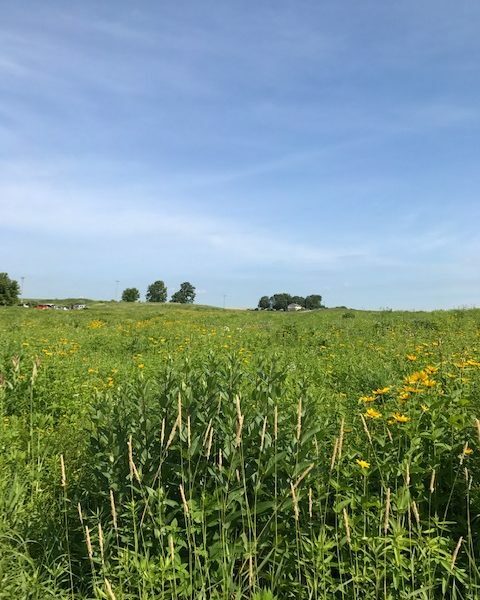 It is a 550 acre conservancy managed both by the City of Middleton and the Dane County Park system. Depending on which part you like maps for will depend on where you need to look. A favorite trail to do here with kids is the in and out hike to the freshwater springs. It’s a wide mostly gravel or grass trail leading to the springs area. 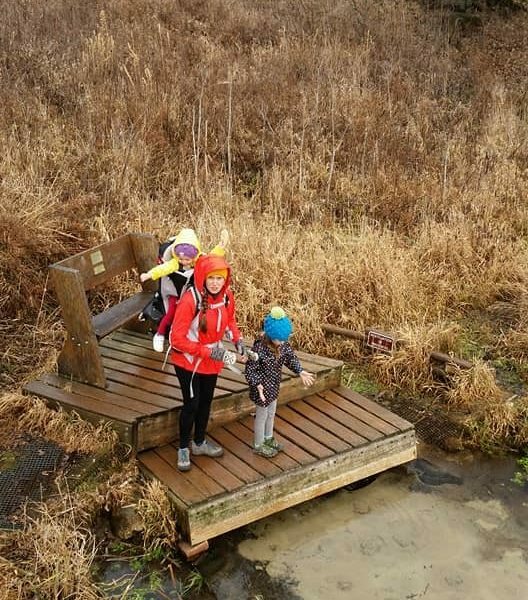 There are wide wood steps down to the observation deck, or head down to the small landing to dip hands and feet in the fresh chilly spring water! This trail is definitely a favorite in the summer time! 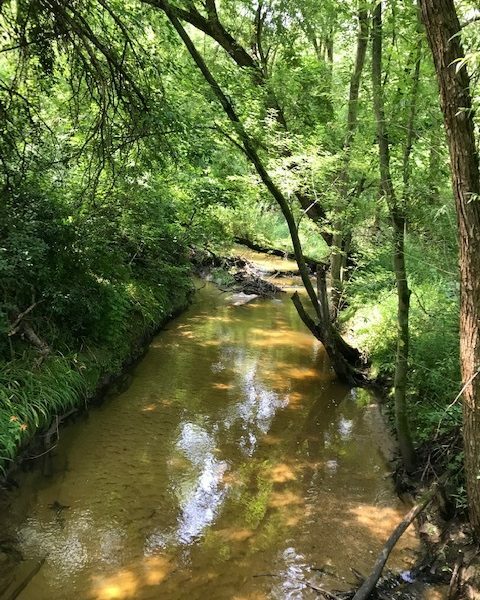 If you head past the springs and take the loop around there is a nearby playground in adjoining Orchid Heights Park, which is in the works to be renovated, shy of a half mile from the springs trail. 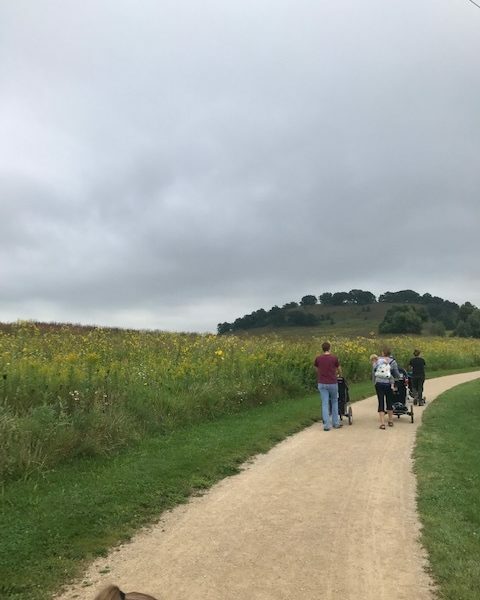 Across from the springs breakaway, you can take a trail up Frederick’s Hill and get a stunning view of the Capital Building in downtown Madison. 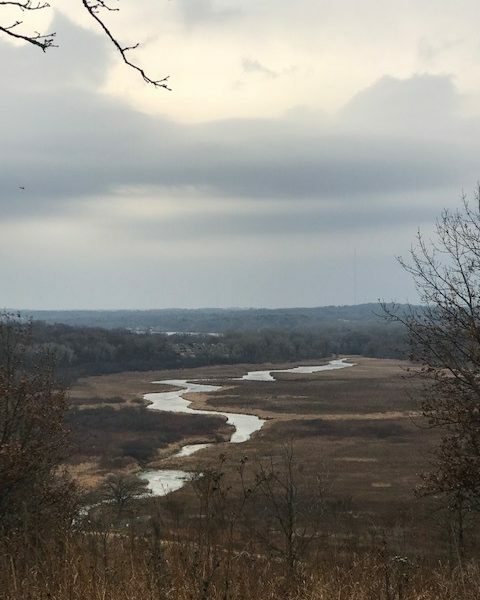 There is a wooden deck at the top for observing the view and you can also see the prairie with Pheasant Branch creek running through it. The map for the springs trail and Fredericks Hill can be found on the Dane County Parks Website. If you are feeling up for the entire loop around the conservancy you are looking at about 3.3 miles. You will pass along prairie land, wooded areas and wooden bridges and boardwalks along the trail. The loop trail is doable with a stroller, but there is parts with uneven mixed terrain. 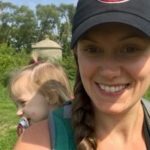 Pheasant Branch has a variety of trail options! 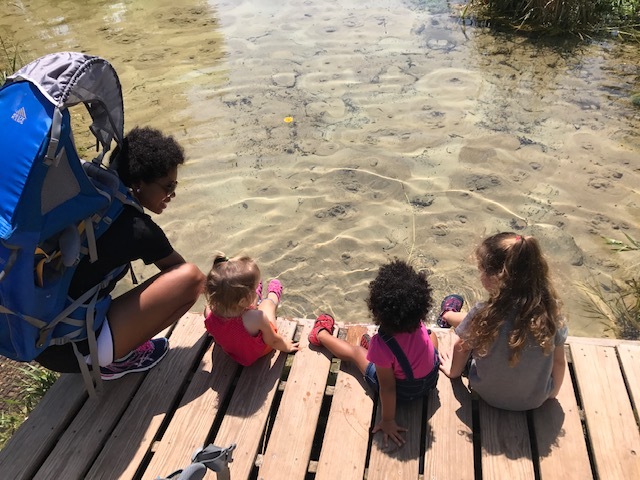 The natural springs are a must see with kiddos. There are several parking lots and entrances to the conservancy. All the trail reference points are from the 4864 Pheasant Branch Rd parking lot.